[at the risk of breaking my own rule against discussing real-world issues in this space] i woke up this morning with an intense urge to pull this out from its hiding place. sigh. i lived in Massachusetts in 2008, when a historically-Black church a short drive from the uni where i taught was burnt on Election night. it was a sobering reminder of how unkind we can be to each other in the face of an ever-changing world. i just hope that everyone stays safe (and sane) in the coming days. as though sensing my extreme angst today, the mailmanperson arrived bearing the second edition of Making magazine, titled "fauna". i mentioned the first issue "flora" in an earlier post (and i am still searching for the perfect (itch-free) yarn to make the Branches & Buds Pullover). 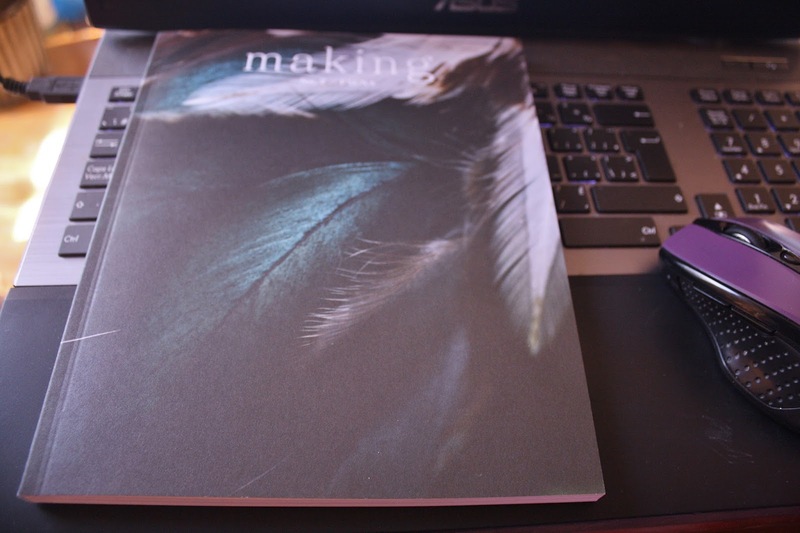 Making is a multi-craftual magazine, though it does lean heavily toward the knitting side. there is embroidery, cross-stitching, sewing, recipes (including one for a grownup beverage in each issue), and a bit of adult-coloring-book action. 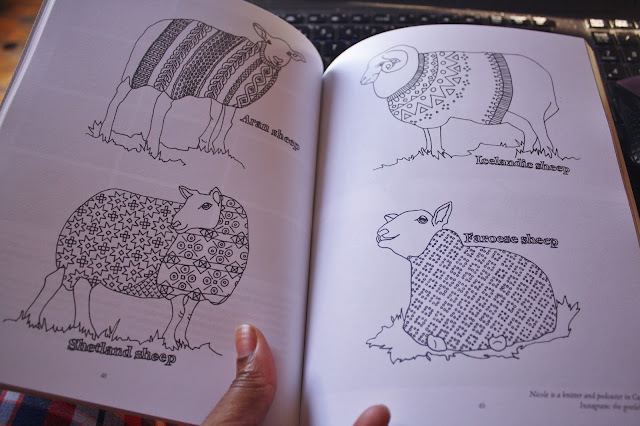 seriously... who does not want to color an Icelandic sheep wearing an Icelandic sweater? i was drawn to the Open Waters Shawl by Melanie Berg. 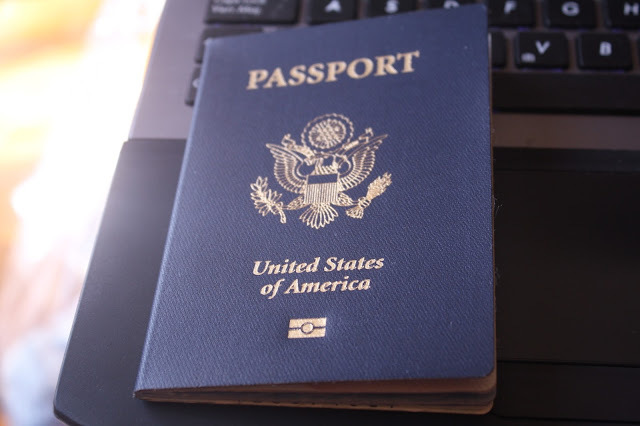 this piece made me nostalgic for my (brief) professing days, as it would have fit splendidly into my wardrobe of (mostly) black attire accented with fabulous shawls and purses. what i lacked in clothing style, i made up for with accessories that were always over-the-top amazing. 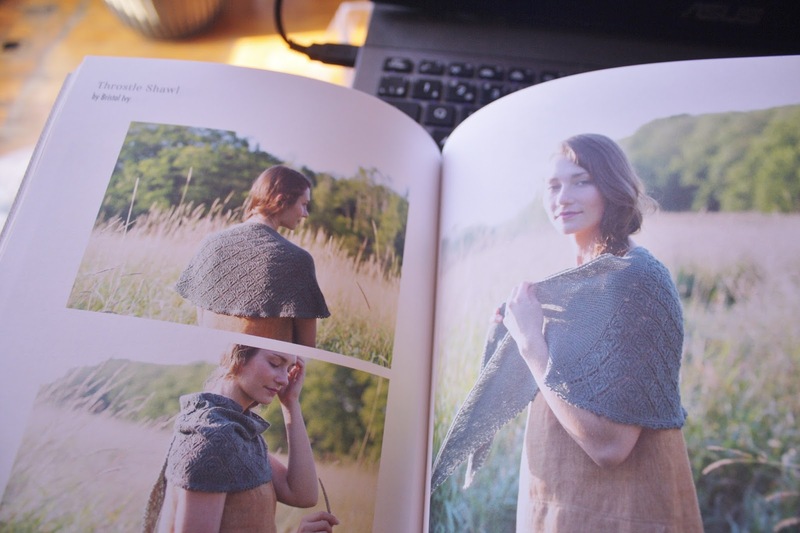 the Throstle Shawl by Bristol Ivy is more my style these days. the standout piece of the whole collection, however, has to be the Stag Head Pullover. me: [hurrying into the studio, pointing to the sweater] who designed this? him: judging by your excitement, i'm gonna say it's Norah Gaughan. and then i made a high-pitched sound of the type that can only be perceived by dolphins and other sea-dwelling mammals. 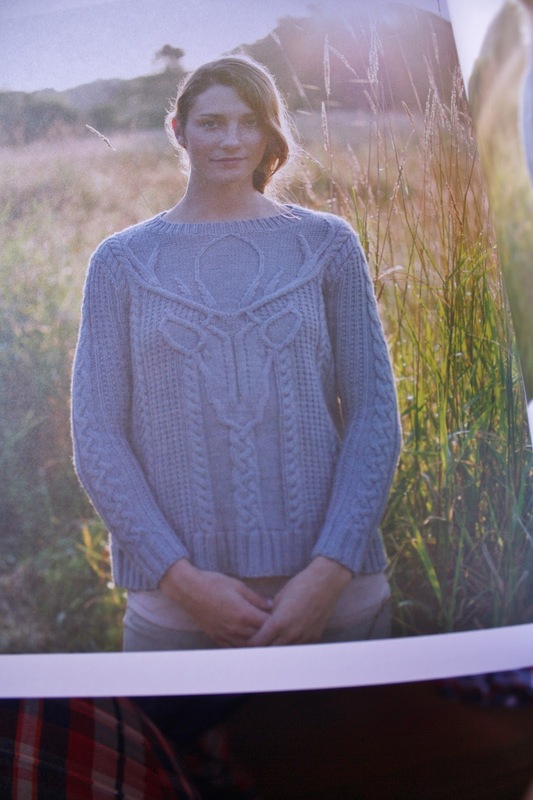 i will save the full extent of my hero-worship for another day, but she is my absolute fave knitwear designer, and her brand new book of cables is at the very top of this year's Christmas book list. 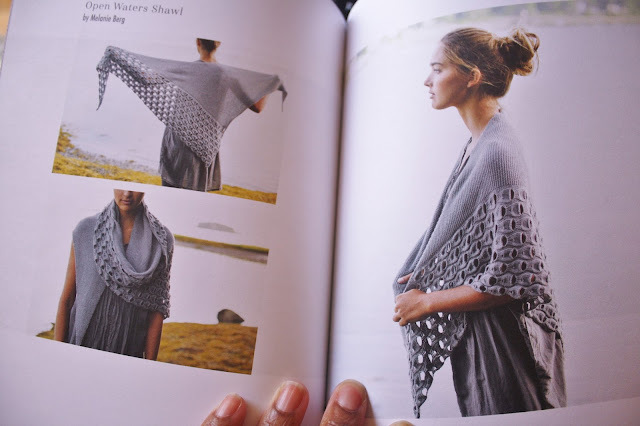 it is primarily a reference book for crafting complex cables of the kind that defines much of her design aesthetic, but it also includes a number of beautiful patterns, like the Chunky Cardigan and the Sideways Pullover. sigh. now, pardon me while i plot and scheme as i go diving through the stash. sure, we may be on the verge of a nightmare of epic proportions, but i am going to find comfort in my happy place. please make sure you vote, and be safe.